Dates TBA 2016, CERES, Melbourne. Teaching hrs 1430-1930 daily. Learn all about raw vegan food preparation in this comprehensive introduction to the cuisine and lifestyle. Techniques covered include dehydrating, salting, fermentation, stuffing, smoothies, sprouting, nut & seed milks, plant-based raw cheeses and more. See below for full list of dishes in the daily program. Please note that you should bring your own sharp kitchen knife to this course. 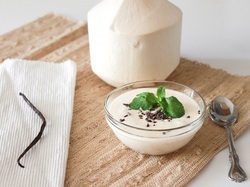 An introduction to making non-dairy substitutes at home including soy milk, rice milk, almond milk, soy yoghurt, oatmeal yoghurt and coconut yoghurt. - fresh milks and yoghurts to take home. The yoghurts will require additional fermentation at controlled temperatures at your home after the workshop. This workshop is a special event with Sharon Wiest, resident chef at the Lincoln City Culinary Center. Sharon will take us through some South American inspired dishes for a delicious 3-course meal, all made with the best of local Oregon ingredients and matched with Brooks vegan-friendly wines. Hands on tuition and fabulous food, what more could you want?! - tuition in teaching kitchen as we make: aji with plantains; pupusas stuffed with mushrooms, fermented curtido and pinto beans; Oregon stone fruit gallette. - matched red and white wines by Brooks Vineyards. Workshop participants must be over 21 to consume alcohol. Non-alcoholic alternatives are provided. Learn the secrets of making your own water kefir at home in this hands-on workshop at CERES. 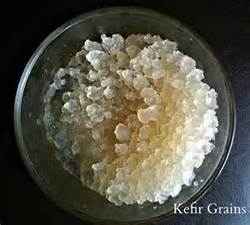 Water kefir is a live culture that can be used to produce delicious probiotic health drinks. Dairy- and gluten-free. Please note that you need to bring a glass jar (and lid) with about 500ml capacity in which to put your starting culture to take home.